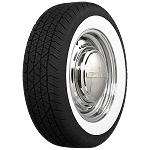 ● High tech tread design - great for classics, hot rods and customs. 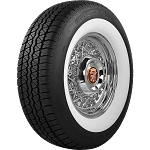 ● Smooth whitewall tire, whitewall is not added after the tire is made. 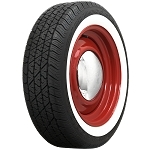 Redline tires feature a raised, 3/8" redline stripe. ● US DOT and ECE approved for the U.S. and Europe. ● 65 to 80 series available.